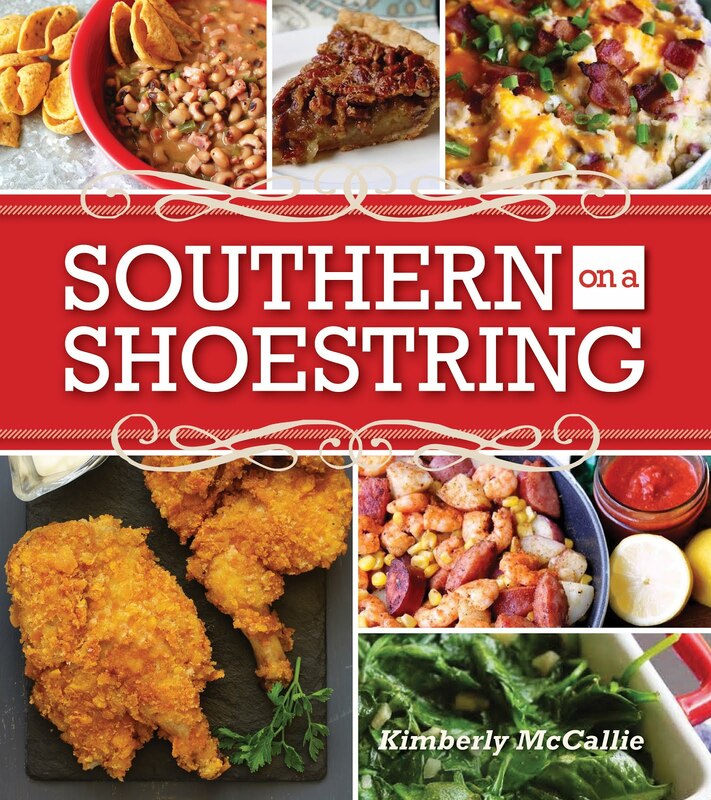 There are just some recipes that draw my attention over and over again. I may not stop what I'm doing to rush to the kitchen, but I will pause, thoughtfully stroke my chin, and think, "Hmmm...very interesting." 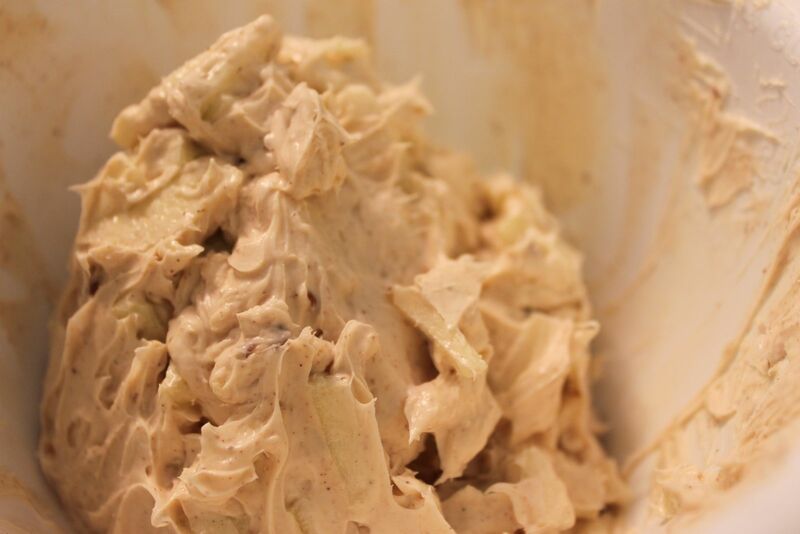 I can't tell you the number of times I've been drawn to this recipe from Gooseberry Patch's Autumn with Family and Friends, copyright 2009.﻿ Of course, there's the obvious reason - apples and cinnamon - but, there's also the "log" factor. 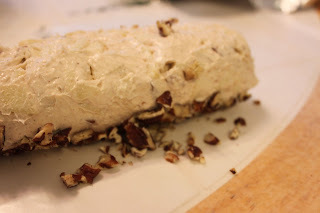 I usually make cheese balls, so a cheese log is a foreign land to me. So, come with me while I explore this new territory. 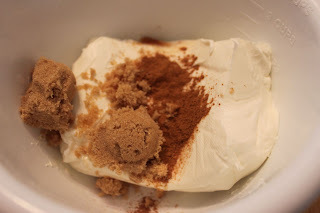 Here's the cream cheese and cinnamon. Do not be alarmed! You are seeing a teaspoon of brown sugar. I took the liberty to add it. I hope you don't mind. Here's my half cup of Granny Smith apples. Well, maybe a little more than half a cup. After stirring all of the ingredients together, I put the mixture into the fridge to firm up so that I could form it into a log. 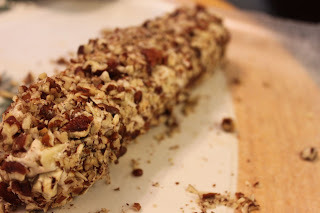 I layed a few of the chopped pecans on a piece of wax paper, formed the mixture into a log, and placed it on top of the nuts. Then, I pressed the remaining nuts around the mixture. 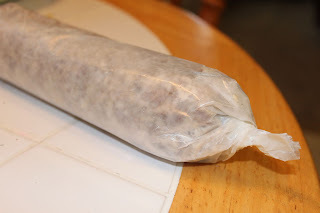 I wrapped the log up tightly in wax paper and refrigerated until firm. This turned out to be a gorgeous appetizer. I served it with vanilla wafers. The log was tangy from the apples and cream cheese. 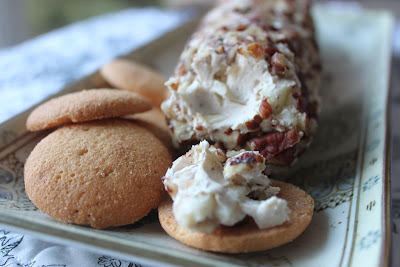 The nuts, cinnamon, and vanilla wafers provided a sweet and crunchy contrast. And, I must confess that I ate more than my share of it. Yes, a new land known as apple-pecan log has opened itself up to me and I plan to revisit it often. Enjoy! For some reason, I want to add a few toffee chips. I will definitely try this one. 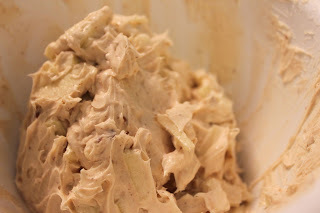 This recipe is very different from my toffee apple dip. 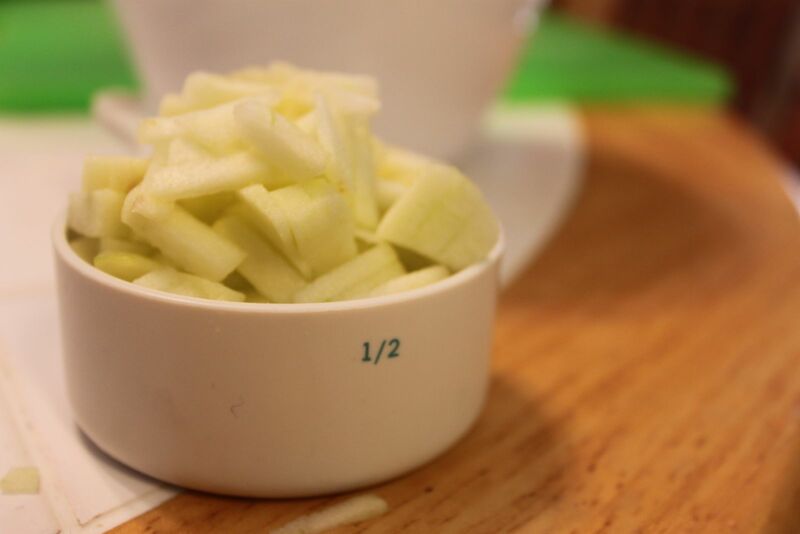 The Granny Smith apples and cream cheese are a little tangy - a much different experience. But, the vanilla wafers were excellent, so sweet and crunchy. You should definitely try it. I know you'll like it. It will be added to my "must haves" for my next party or shower. This looks delicious! This would be a unique and yummy addition to an appetizer buffet. I'm pinning this one for Autumn.